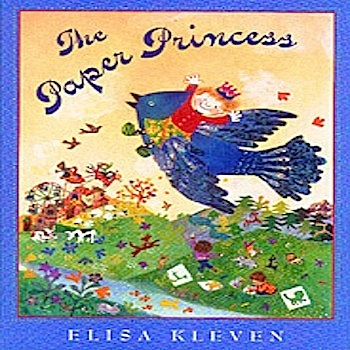 Elisa Kleven is a talented children’s author and illustrator. 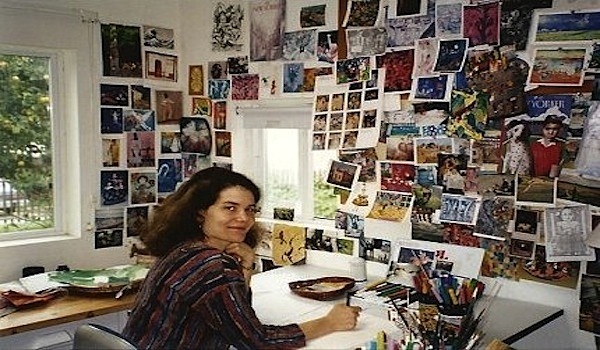 She uses different types of media to make her pictures including collages, watercolor, ink, colored pencils, pastels, markers, crayons, etc. 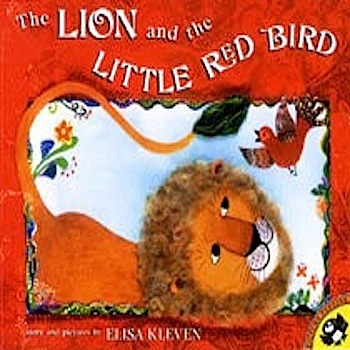 Elisa took the time to answer some questions for LIB and tell us more about her creative genius and her upcoming books! Creston Books, which is publishing Ms. Kleven’s newest upcoming work (see photo below,) is debuting at Book Expo America! LIB: What are your current releases and what are they about? 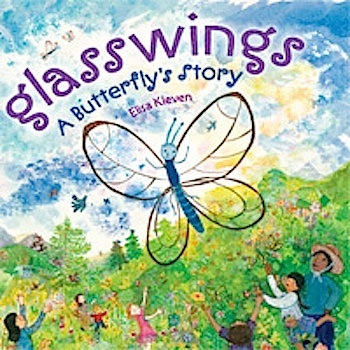 Elisa: My last book, GLASSWINGS: A BUTTERFLY’S STORY, tells the story of a transparent butterfly (they really exist!) and how, when blown off course and far away from her flowery forest home, she helps to re create a new garden in the big city by pollinating the scraggly plants. It combines fantasy and nature facts, something I love to do. My newest book, COZY LIGHT, COZY NIGHT, will be published this fall by Creston Books. It is an ode in rhyme to the changing seasons, and how each one can bring its unique form of coziness, comfort and joy. I like to think of it as a patchwork quilt of a book. LIB: Who is your favorite character you created and why? Elisa: I think that the PAPER PRINCESS is my favorite of my books (AND characters) because it touches on many prominent themes in my life. As a book creator, I relate to the young artist girl in the story, whose paper person blows away before she can give her hair. Each time I send a book — a personal, intricate work on paper– out into the world to be published I worry that I haven’t really finished it, that I should have done more, but I reach a point where I have to let it go. Like the paper princess, books have a way of “finishing themselves” by everyone who encounters them and brings their own reactions to them. The author and illustrator can really only begin the book, as books are an ongoing collaboration between creator and readers. In addition to identifying with the young paper doll maker, I can also relate to the little bald princess herself because, like her, I lost my mother, the one who “made me” when I was very young. So I went off into the world feeling somehow incomplete and unfinished. LIB: Where do you get your inspiration for your books? Elisa: I find inspiration in all sorts of ways. Sometimes an image inspires me: the brush-like tail of a lion at the Oakland zoo sparked the idea for THE LION AND THE LITTLE RED BIRD; the sight of a picket fence reflected in a wet sidewalk gave me the idea for THE PUDDLE PAIL. Sometimes an experience gives birth to a story idea: my daughter’s reaction to her domineering, sloppy new brother inspired my book A MONSTER IN THE HOUSE; the comforting act of making bread on a gloomy winter day gave me the idea for SUN BREAD. And sometimes stories well up mysteriously, from undercurrents in my life and amorphous but powerful feelings. After I finished THE PAPER PRINCESS, I realized, as I mentioned, that it summed up my feelings about being both a book creator—working away lovingly and privately on detailed pieces of paper (my illustrations and stories) that I later send out into the world to “finish themselves” (that is, be read and reacted to), as well as earlier, raw feelings about having lost my own “creator”, my mother, when I was still a child, and how I went out into the world feeling like it was up to me to complete myself. The inspiration for my newest book, GLASSWINGS: A BUTTERFLY’S STORY, came about when I viewed a photo of a Glasswing, or transparent, butterfly. The sight of this glass-clear creature with a bright yellow flower shining right through her wings was too breathtaking and inspiring for me to ignore…and sure enough, before long I’d written and illustrated a new book about a butterfly named Claire (clear; light; airy.) My love of nature and my conviction that all people need some kind of connection is one of the reasons I have my butterfly character pollinate a barren empty lot, thus helping to turn it into a lush oasis in the big concrete city. Finally, my inspiration for my upcoming book with Creston, COZY LIGHT, COZY NIGHT, comes from my love for all things cozy: warm, loving, comforting. In our mechanized, often de personalized world it is important for children to know that they can create their own cozy spaces. Furthermore, I hope my book will help them feel a sense of place and security on our planet, and within the universe at large. Finally, what better way to be cozy than to snuggle up with a good book? LIB: Are you currently working on writing any new books? Elisa: Yes, I have many in the works! I constantly have new ideas. LIB: Do any of your drawings inspire you to write books or do you write books then create the illustrations? Elisa: Please see Answer #3. Since I’m so visual, a sight or picture or drawing I make often inspires me, but sometimes the story comes first. 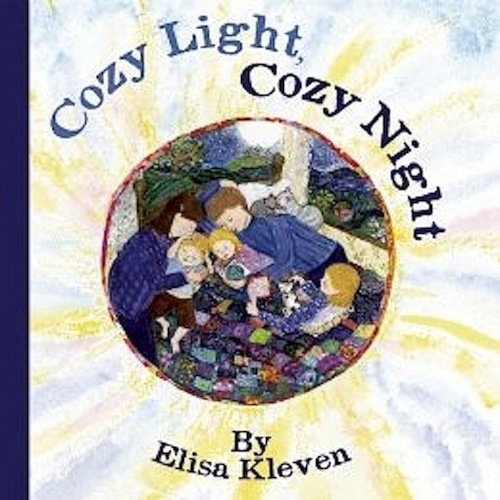 Check out Elisa’s new book, COZY LIGHT, COZY NIGHT this fall by Creston Books. You can find out more about Elisa on her official website.